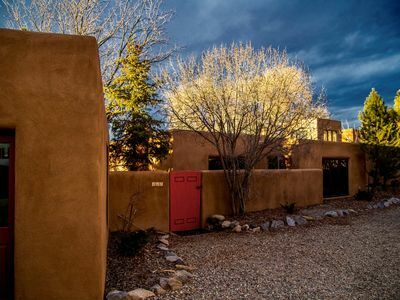 Visit Taos and experience a bit of authentic history staying at Casa Pajaro. 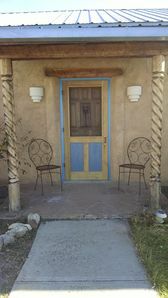 It is one of the town's original adobe houses situated in a quiet neighborhood among other houses of the same era off the beaten path. 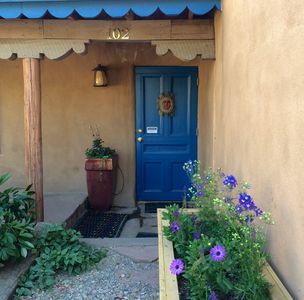 A short walk to Taos Plaza with shopping and restaurants in town. 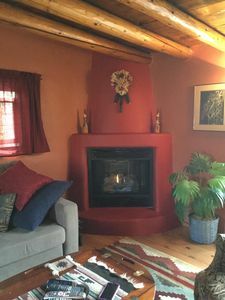 When renovated with all of the modern conveniences it was also meticulously painted by Jim Wagner, a well-known local artist, including the hand-made furniture. There are no lights in the plaza so star gazing is great. Upon entering the house you encounter a fully equipped kitchen, perfect for hosting home cooked meals. 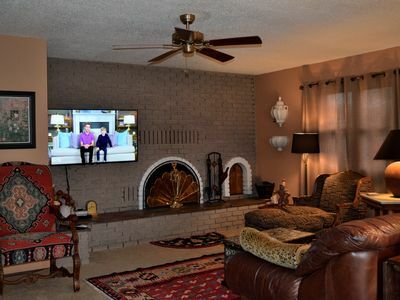 The living area is a great place for conversation or for streaming a movie on the TV. 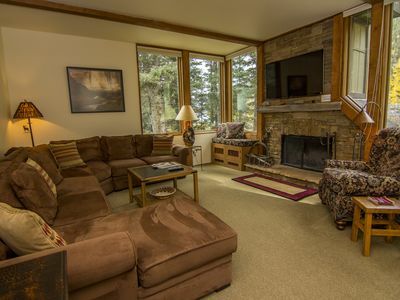 In the winter, the house stays cozy with base-board heating. 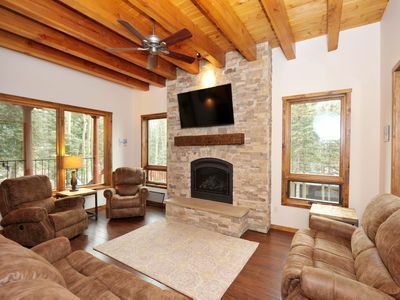 You are invited to light a small fire in the kiva for extra warmth après-ski; we provide the firewood. 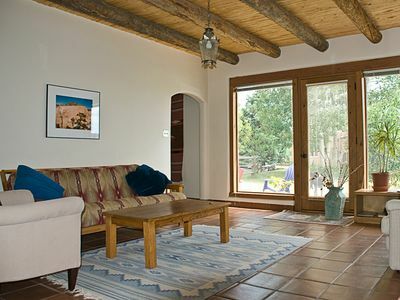 In the summer, enjoy the natural cooling of an historic adobe. 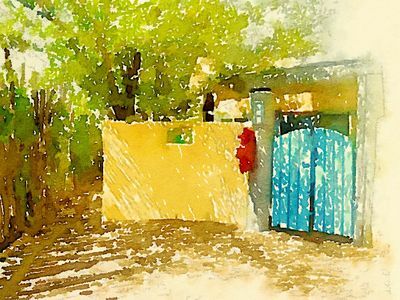 This ancient construction technique keeps hot days at bay with its thick walls acting as natural insulation against the heat. The two bedrooms are on opposite sides of the house. The Master Bedroom has direct access to the dressing area, bathroom and home office. The second bedroom is adjacent to the living room. 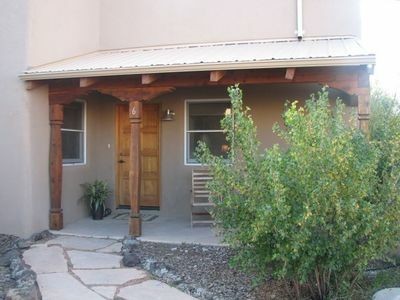 You have access to the entire house as well as the porch and courtyard out front directly adjacent to the two parking spaces. There is ample storage for your belongings in each bedroom. The house is very accommodating for those traveling with children. If you are coming for the ski season with children the Taos Ski Valley Children's Center has full day lessons for all ages while the parents are doing their thing. Additional the house is ideal for older travelers with no accessibility challenges. The neighborhood is great for walking with beautiful views and no commercial traffic if you stay in the residential area. 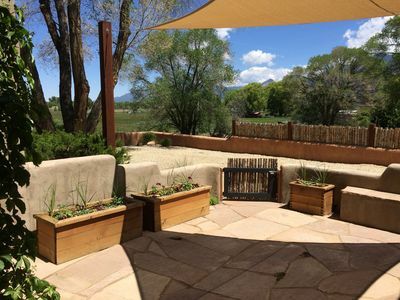 This makes Casa Pajaro a nice place for those who want to take short or longer walks in the morning or evening to watch the sunrise or sunset. 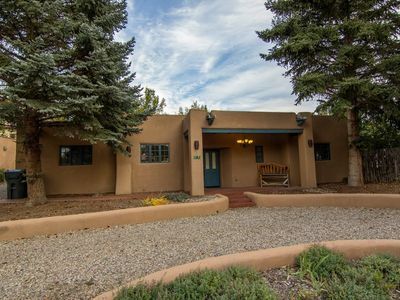 Rent a car at Albuquerque Airport, and it's a 2.5 hour scenic drive to Taos. 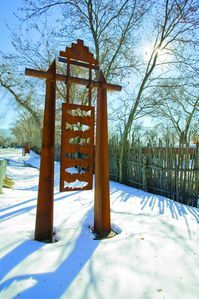 For public transport, the Taos Ski Valley operates a shuttle from ABQ Airport to Taos Plaza. 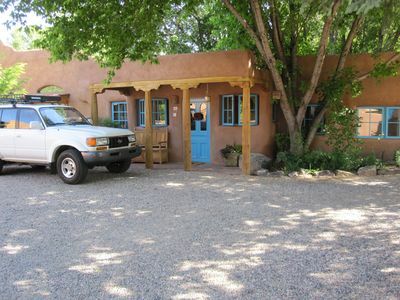 You could then rent a car from Taos. If you want to stop on the way to sightsee or shop in Santa Fe, you may also wish to stop at Trader Joe’s for groceries. 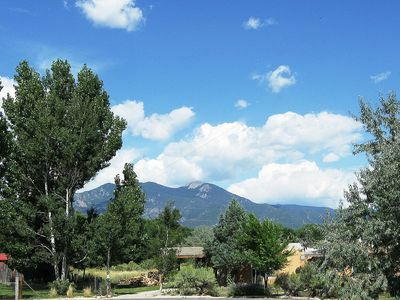 However, there are also many supermarkets to choose from in Taos. There are also shuttles available to take you all the way to the Ski Valley once you are ready to hit the slopes. On busy days its better to rent your boots at Cottam's in town and pick up your ski's on the mountain. There are several backroads from the plaza out of town so you don't need to use the main road in town to get to the grocery store or up the mountain. 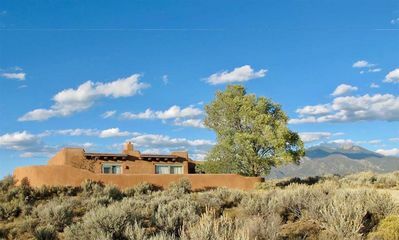 Anahata Casita: Midway Between Taos & Taos Ski Valley - The Best Location! 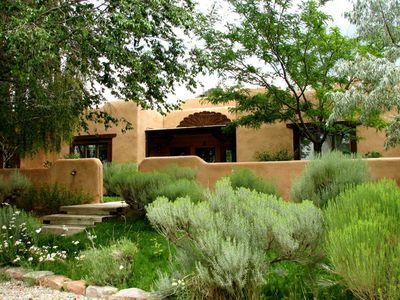 Historic Antique Adobe walking distance to the Taos Plaza! New Hot tub! Jewel of the historic district! 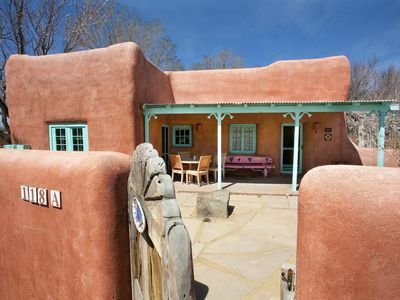 Exceptional, beautiful casita! 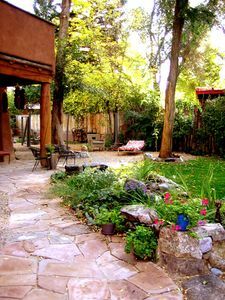 Totally Taos!! 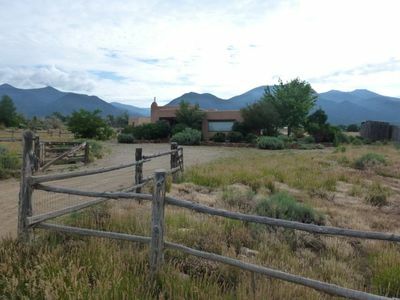 Charming pueblo-style home with incredible views!